Claims: Keep skin blemish free by quickly reducing breakouts with this maximum strength formula. Neem, Basil & Tea Tree actives unclog pores to remove trapped dirt & oil. Skin is left free of acne & pimples and further breakouts. Ingredients: Extracts of Neem, Amla, Tumeric Tulsi, Aloe Vera, Papaya, Tea Tree Oil, Jojoba Oil, Coconut Oil, Sage Oil, Willow Bark, Ceto Stearyl Alcohol, Stearic Acid, Steareth 10, Kaolin, Sorbitol, Triethanolamine, Phenoxyethanol, Ethylhexylglycerine, Purified Water. 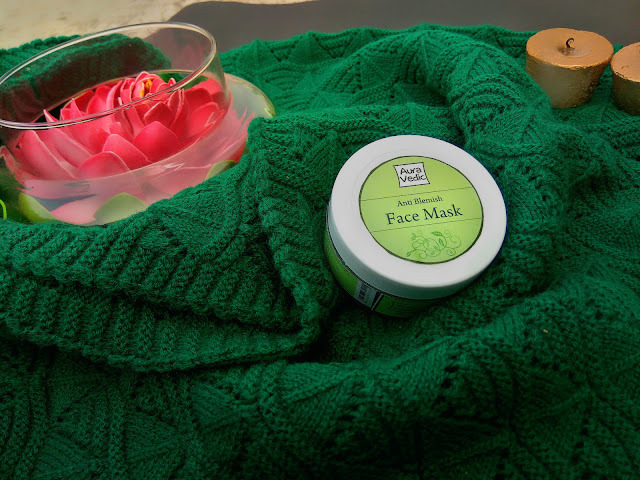 Usage: Cleanse face before applying this clear skin mask. Keep on for 15- 20 minutes before gently washing off with water. Use daily for maximum results. · Cannot curb hormonal acne.